With controversy surrounding the shortfall of funds needs to host the 2014 Olympiad, FIDE officials were scrambling to ally fears that the biennial event may be cancelled. Such fears were accented by comments made in press releases. 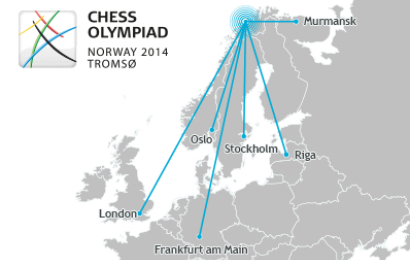 ChessBase ran a very prominent story detailing the funding issues which amounted to NOK15 million ($2.5 million). 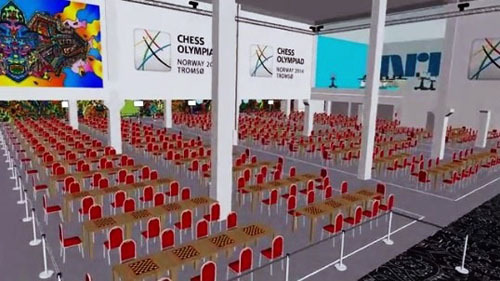 Hans Olav Karde of the Olympiad’s organizing committee stated that “Unless we get the 15 million it will be extremely difficult to implement this.” There have followed many online meetings and recently FIDE officials have done a site visit. FIDE released a statement expressing its “great concern”. The crux of the matter was that Norway Olympiad organizing committee did not initially figure into the budget that they would also be responsible for holding the World Cup tournament as sort of a “dry run” to the Olympiad. Of course, the Olympiad is a massive event, but it became apparent that there was insufficient funds to hold both.Chess.com got the scoop from Børge Robertsen, CEO for the Olympiad. According to the report, the Norwegians didn’t know that they also needed to stage the 2013 World Cup. Meanwhile World Champion Magnus Carlsen is set to lead the Norwegian team, but is apparently not serving as a host, ceremonial or otherwise. Ceremonial hosts are often used to raise the profile of the event and provide more public attraction for its initiatives. At this point there is no indication on the fundraising efforts for the NOK15 million. A record 181 teams have registered totaling 2000 players. Perhaps, this does not account for all the journalists, coaches, delegates, dignitaries due to set on the city of Tromso. It is said that conditions will be at maximum capacity. It would be very embarrassing if Norway had to hold anything other than a first-class event. The talks of cancelling are rather presumptuous, but of course the matter is very serious. National federations are finalizing their arrangements and meeting the June 1st deadlines for registration and accommodation. I have been told by Tarjei J. Svensen that Magnus Carlsen is not playing an active role in any aspect of the Olympiad (other than the initial marketing to win the bid). He is only expected to show up and play just like the other players traveling to Norway. Perhaps the marketing of the event and subsequent fundraising could be bolstered by his presence. Certainly, he will focus on playing, but to leverage his position as World Champion AND Norwegian will certainly be a great help to the Olympiad brand. That would make sense to me as well. Why is he not making more of a presence and will there be a Olympiad this year or not? I believe there will be an Olympiad. I’m not sure why Carlsen will not make more of a presence than simply playing. This is if what Tarjei is saying is true. I believe he do more than simply show up and play. Otherwise that would be doing nothing more than any other player. From a marketing standpoint, it is a huge bonus for a country to have a World Champion while being an Olympiad host. When have we last had this? I don’t count Kasparov and the 1998 Olympiad in Elista, Russia, but of course he was very active in the FIDE proceedings. If all Carlsen does is show up and play (in his own country), it would be a lost opportunity to showcase chess by a World Champion who people believed would reinvigorate chess. So what role should a World Champion play in promoting chess? Or is simply being number one (and World Champ) is Carlsen only motivation? Not sure what Carlsen’s motivation is, but the role of a World Champion has never been defined in terms of a role as an ambassador. That is why chess continues to fail. I read an article that the average Norwegian does not know Carlsen. Not sure how true that is, but of course Kasparov has been an advocate for chess in his retirement. During his reign, he of course tried to create another organization. Fischer also campaigned for professional standards in chess. Don’t remember Kramnik or Topalov doing much. Anand has done quite a bit in India and was the first sitting World Champion to visit Africa. We will see what Carlsen has planned, but he already has to defend his title, so he doesn’t have much time.